One of the reasons we can provide such careful, competent dentistry is that our entire team is highly trained in our various areas of expertise, representing a total of over 100 years of hands-on experience. But beyond this technical investment, we have also invested in the people of our practice as well. In fact, when you come in, we’ll spend as much time as it takes to thoroughly listen, understand your concerns, and tailor our services to meet your individual needs. It's an approach that requires efficient teamwork and a long-term commitment to excellence. Donna has been with our practice since October 1989, managing the front desk and appointments. 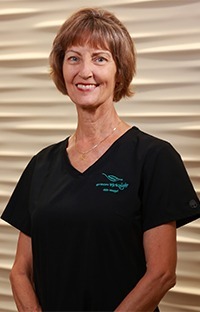 It is hard to believe that she is into her 29th year with Dr. McKnight's practice, which goes to show how much she loves her patients, co-workers, and multi-tasking job. Donna is our patient liaison, so always feel free to give her a call with any of your questions or concerns. You will typically see her with a phone at her ear and a smile on her face as she answers the incoming phone calls. It is not surprising that her smile is one that is most commonly requested by our patients. 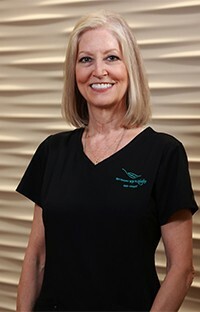 Donna is very schedule-oriented in all aspects of her life, from our daily patient appointments to her personal routines. She prefers predictability and runs a pretty tight ship! As any patient knows, her personality is quite amiable, and she can never resist laughing at her own jokes. She is a great listener and truly cares about people. Her uncanny memory when it comes to our patients has been a great asset. Donna grew up in Mesquite, and she graduated from Mesquite High School in the top 5% of her class and was involved in drama and cheerleading. It is no wonder that she enjoys being at the hub of the office! She had 33 wonderful years of marriage with her husband, Rick. 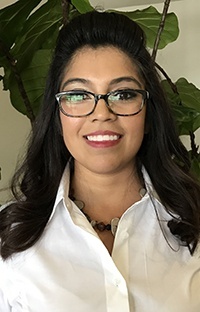 She has one daughter, Destiny, who graduated valedictorian of West Mesquite High School in 2000, and then in 2004, completed dual degrees at the University of Texas at Austin. Donna welcomed a new member to her family when Destiny married her high school sweetheart, Josh, in October 2007. He graduated valedictorian of North Mesquite High School in 2000 and also graduated from the University of Texas at Austin in 2004, receiving a degree in electrical engineering. They have since blessed her with two grandchildren, Adair and Calla, born in 2013 and 2016. In her free time, she enjoys relaxing at home, watching movies, crocheting, reading, and indulging her sweet tooth. Donna has recently started a new time-consuming hobby of genealogy research and discovering fascinating information about her family. Due to her extensive research into her family roots, she became a member of The Daughters of the American Revolution in May 2011. She attends Friendship Baptist Church in Mesquite, and her goal is to read the entire Bible in one year. Family is very important to Donna, but she considers her extended family of patients that she has served during her 29 years a close second. Michele was hand-picked by Dr. McKnight while she was still in school after he called the chairman of the department to ask who was their best student. She has now been part of our team for over 15 years. She grew up in Plano and is the second oldest of five children. Michele graduated from Bishop Lynch High School where she was active playing fast pitch softball and basketball. She was named to the All-State team and Dallas County All-Stars team in softball. 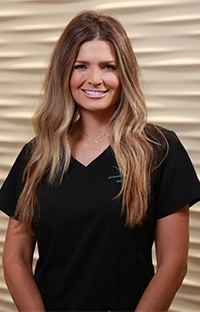 After high school, Michele attended the University of Texas at Dallas, and then she received her Bachelor's degree in Science from the Baylor College of Dentistry. Michele met her husband Jeff in 1995. They got married in June of 1998 and now make their home in Rowlett. Jeff and Michele play many sports together including softball, volleyball, golf, soccer, and ice hockey. They have three wonderful children together, Jackson Timothy born in 2004, Mason Reid born in 2007, and Brooklyn Avery born in 2010. Now, they enjoy spending all of their time with their children and look forward to the fun times ahead. 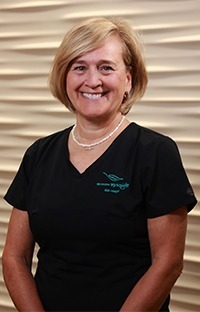 Millye has been Dr. McKnight's hygienist for over 30 years and has a uniquely personal relationship with all of her patients. 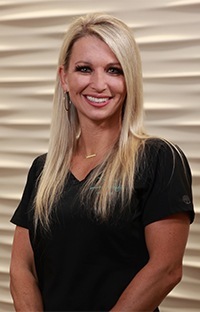 She graduated from the Caruth School of Dental Hygiene at the Baylor College of Dentistry in 1985 where she received a Bachelor of Science degree in dental hygiene. Upon graduation, she joined Dr. McKnight's dental team. Here, she has truly been able to fulfill her passion, enjoying all aspects of her profession. Most importantly, she loves the relationships and friendships she has developed over the years with her patients. In 1988, Millye met Blaine, and they were married two years later. They now have three children: Sallye (1993), Blaine Jr. (1997), and Gracie (2000). They currently live in the Lake Highlands area of Dallas and are active in Northwest Bible Church. If she can find a spare moment, Millye enjoys walking, going to garage sales, and working on the endless, creative memories scrapbooks for her family. Amy is a 1998 graduate of Woodrow Wilson High School in Dallas, TX. Shortly after graduation, Amy began attending Dallas County Community College. During her studies there, she had the opportunity to begin a dental assisting career. Amy gladly accepted the opportunity in the year 2000 and has received her licenses through the Texas State Board of Dental Examiners. She has received her licenses for C.D.A. (Certified Dental Assistant), nitrous oxide monitoring and radiology. Each year, she continues to expand her knowledge with continuing education courses. Amy married her high school sweetheart, Nelson, and they now have three beautiful girls: Layla who was born July 17, 2003, Noelia who was born January 12, 2009, and Camila, born January 30, 2014. They added a new addition to their family with the birth of their son Brandon Lee on February 23, 2017. Amy and her family make their home in the Dallas area. Amy and Nelson enjoy spending time with their kids as well as attending church events and numerous cookouts with their extended family. Kelly's interest in the dental field started at Sweetwater High School. After graduating, she joined the military, serving eight years in the Army National Guard where she continued her dental training while being stationed in Dayton, Ohio. After her discharge, she attended Ohio State University and received her licenses for C.D.A (Certified Dental Assistant), radiology, as well as EFDA (Expanded Function Dental Auxiliary). She has been in the dental profession for over 30 years. Her family consists of three wonderful adult children and her partner, Dale. Dale and Kelly currently live in Mesquite, and together, they enjoy fishing (where they have consistently placed high in the state rankings for bass fishing), cooking, and attending church. Brooke joined our practice in 2016 and has 11 years of experience in dentistry. She says the best parts of her job are working with a fun, positive team and knowing she’s providing excellent patient care. She focuses on providing thorough, gentle, and comfortable cleanings. Originally from Ennis, Brooke studied dental hygiene at Tyler Junior College. She’s married with three sons and a baby girl. In her spare time, Brooke enjoys traveling, crafting, and learning about health and fitness. She actually met Dr. McKnight and his wife while doing Crossfit! Jennelle first started at our practice in September of 2016, and she’s proud to have been working in the dental field for over a decade. She has her Associate of Science (AS) degree and is also currently pursuing an additional degree in business. She achieved her RDA (Registered Dental Assistant) in 2007. Jennelle is originally from Ennis, and she has two wonderful Boxers named Bella and Gunner. When she isn’t busy at the office, she lives on a full-time ranch operation, raising over 100 head of cattle, registered goats, honey bees and Boxers. She also enjoys simply spending time outdoors, hunting, fishing, doing church activities, and practicing Jiu-Jitsu. Connie has been Dr. McKnight's in-house lab technician for over 15 years and has been in the profession for much longer. Behind the scenes at Dr. McKnight’s office, her expertise and attention to detail are sought by our staff to help our patients achieve their optimal smile. Connie directs our in-house dental lab and is responsible for the fabrication of the majority of our gold and porcelain restorations. 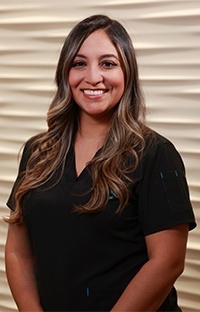 Born and raised in Dallas, Connie graduated from H. Grady Spruce High School, where she became interested in dental laboratory technology while taking a course at Skyline High School. She received her certification in 1983 and has owned and operated her dental lab since 1985. 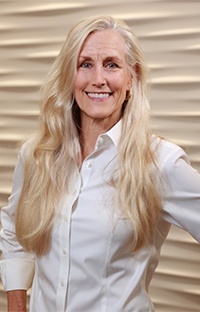 In 1996, she completed a year-long intense study program, working with the graduate prosthodontic students at the Baylor College of Dentistry to expand her knowledge in full mouth reconstruction and dental implants. Connie is also a Board-Certified Hypnosis Smoking Cessation Specialist. 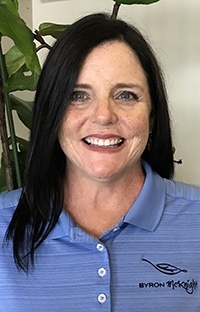 She practices in the office on weekends and after hours for those who are ready to quit the use of tobacco, including smoking, dipping, and chewing tobacco products. She works one on one with all of her clients. Connie and her husband, Rusty, have been married since 1986. In September of 1998, they traveled to China to adopt their precious daughter, Windi Nikole Jia, when she was 14 months old. As a family, they love to hike, bike, and go camping, but their favorite sport is windsurfing and watching Windi learn to master the sport. Bibi started working in our office twice a week in 1987, taking over bookkeeping duties such as payroll, accounts payable, and generally helping out. Raised in Brownsville, TX by her European parents who moved here from Central America in 1955, Bibi is fluent in both Spanish and German. She left Brownsville to attend the University of Texas where she met Dr. McKnight , her husband of 33 years. Bibi went on to attend the University of Texas School of Allied Health Sciences in Galveston, graduating with a Bachelor of Science degree in Physical Therapy. She practiced as a physical therapist at Baylor Hospital in Dallas for six years and then went to part-time home health care after her daughter, Michael Anne, was born in 1983. Bibi "retired" from physical therapy after her sons Matt, Mitch and Mark were born in 1985, 1986, and 1988 respectively. Ten years ago, she went back to school to earn her license in massage therapy and is pleased to offer this service to our patients. Bibi loves raising her four children, and when she gets a spare moment, she also enjoys cooking healthy food, jogging, traveling, and spending time with her family and friends. She has become an avid tandem cyclist with Dr. McKnight, constantly training for events like the 100 mile Hotter 'n Hell bike ride as well as bike riding in Europe.